A drug previously approved for treating migraine and epilepsy has been found to slow the growth of triple negative breast cancer in mouse models. 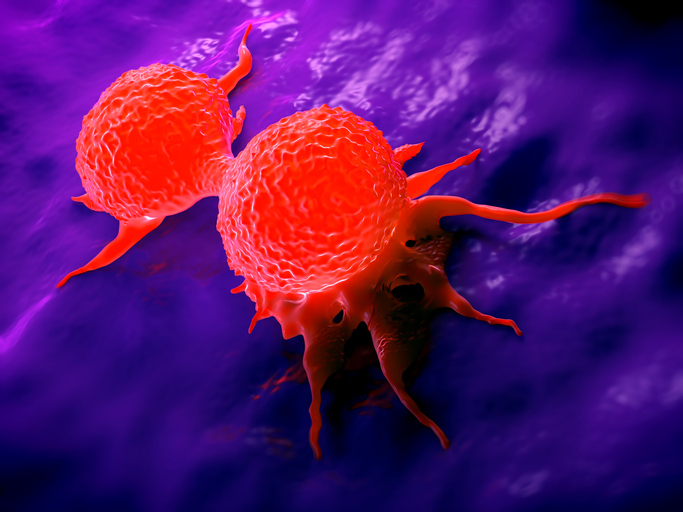 Researchers in the U.S., Taiwan, and China carried out screening studies to identify known pharmacologically active compounds that trigger degradation of N-Ras, a key protein that drives the development of aggressive basal-like breast cancer (BLBC). The assays highlighted flunarizine (FLN) as a promising candidate, and subsequent in vitro studies confirmed that the drug selectively blocked the growth of BLBC cells, but not other subtypes of breast cancer cells, and also inhibited tumor growth in an in vivo BLBC xenograft model. Humans have three RAS genes, H-, N-, and K-Ras, the authors explain. More than 30% of all human tumors contain oncogenic RAS mutations, and while K-Ras is the most frequently mutated RAS gene in cancers generally, N-Ras mutations also occur in certain cancer types. Yet despite the importance of Ras in cancer, there are no drugs that specifically target the Ras proteins. Current approaches are designed to reduce membrane affinity for Ras proteins, block Ras-effector interaction, or inhibit the activity of effector protein kinases such as B-Raf, the authors continue. However, tumors commonly develop resistance through mechanisms that thwart the continued effectiveness of these therapeutic approaches. “Therefore it seems highly desirable to target Ras proteins themselves in order to shut down all of their oncogenic potential at the root,” the team writes. The assay identified the calcium ion channel blocker flunarazine, which is commonly used to treat conditions including epilepsy. “Flunarizine has been used in medical practice for decades to treat dizziness and vertigo and to prevent migraines,” Dr. Chang comments. Interestingly, while flunarazine hasn’t previously been used to treat cancer, prior research has shown that it can boost the sensitivity of cancer cells to some chemotherapy agents. The team’s subsequent studies indicated that flunarazine induced N-Ras degradation by autophagy, and in vitro tests showed that the drug inhibited the growth of BLBC cells specifically. This growth inhibition could be further enhanced by combining flunarazine with drugs that target other components of the N-Ras pathway. In a final round of experiments the researchers demonstrated that flunarazine therapy reduced the growth of human BLBC tumors in mice. “Our data showed that when FLN was added at levels comparable to those used in humans, tumor growth was efficiently inhibited, mimicking the effect of doxycycline (DOX)-inducible N-Ras silencing,” they comment.